Don’t let rainy weather get you down. There are plenty of fun things to do indoors if the weather isn't cooperating during a trip to the nation's capital. While there are some obvious choices for fair weather entertainment, keep in mind that some of the most popular tourist attractions are especially crowded on weekends, holidays, and concurrent with a major event. Check out these ideas that are sure to appeal to a wide range of interests when you need to have a roof over your head. The weather may not be ideal for sightseeing when it's raining, but you can stay dry aboard a bus and still take in the city sights on a ​sightseeing tour. 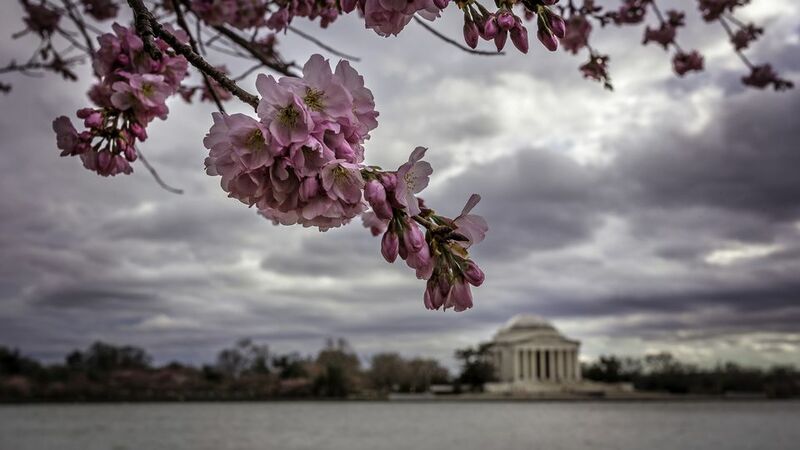 Take a guided tour and you will learn about the history of the nation’s capital and get oriented to the city so that you can plan where to spend time on a sunny day. The Torpedo Factory in Alexandria, Virginia, just eight miles from central Washington and easily accessible via the Metro, is a great place to visit on a rainy day. The historic building is one of the largest visual arts centers in the United States with 84 working studios, five galleries, two workshops, the Art League School, and the Alexandria Archaeology Museum. This is an interesting place to explore because you can talk to the artists and watch them at work. Union Station is one of Washington’s most interesting historic buildings and offers great places to eat and dozens of upscale shops. You can easily spend hours shopping for unique gifts or see what’s new at your favorite clothing boutiques. Enjoy a leisurely lunch at a sit-down restaurant or take the kids to the Food Court for an inexpensive meal. Head to Georgetown to check out Pinstripes, a unique dining, bowling, and bocce venue that includes 14 bowling lanes, six bocce courts, an Italian-America bistro, and extensive wine cellar overlooking the C & O Canal. Or hang out at Lucky Strike in Gallery Place. This unique bowling alley features 14 state-of-the-art lanes, three tournament-quality billiard tables, and a 50-foot bar. Rainy days are popular times to go to the movies, and Washington has plenty of state-of-the-art theaters. For something different check out an independent film at the E Street Cinema, Bethesda Row Cinema, or the AFI Silver Theatre. Or see a movie on a huge screen at one of the IMAX movie theaters at the Smithsonian. The National Cathedral is English Gothic in style with exquisite architectural sculpture, wood carving, gargoyles, mosaics, and more than 200 stained glass windows. You can take a guided or a self-paced tour of the National Cathedral and explore its dramatic art and Gothic architecture. Guided tours are offered on an ongoing basis throughout the day. You can have a tour and tea on Tuesdays and Wednesdays. If it's not too rainy, the gardens are fun to explore as well. Washington has several unique bookstores that offer a selection of mainstream bestsellers and more eclectic titles, food and drink, and a variety of book talks and signings. In Dupont Circle, stop by Kramerbooks & Afterwords Cafe. Further up Connecticut Avenue, check out the famed Politics and Prose or visit Busboys and Poets at their U Street or Mount Vernon Triangle locations. Spending the day at a spa is a welcome way to cheer yourself up on a gloomy day. Enjoy a wide range of services that include massage, facials, manicures, pedicures, aromatherapy, hydrotherapy, and skin treatments. This English-style estate has a surprise inside: It's filled with an incredible collection of Byzantine and Pre-Columbian art. The former home was donated to Harvard University and is now free to visit. This museum—dedicated to spies both real and fictional—is an interactive museum where you can take on the persona of a spy and proceed to learn the history of espionage, including all the gadgets you thought only existed in the movies. You’ll have the chance to crawl through an air duct to listen in on some secret conversations, learn to crack a safe, and even conduct video surveillance. Originally built to host to jazz legends like Duke Ellington, this theater was closed in 1968 due to rioting but was reopened in 1994 as a playhouse, many of which are performed, written and directed by locals in the D.C. community. The National Postal Museum showcases the entire history of United States Postal Service—from the earliest days of the Pony Express to the use of railroads in mail delivery, you’ll learn about the history of the postal service. Recent exhibits have included "Dead Letters," a history of undeliverable mail. Of note for music lovers, in 2005 the museum acquired the stamp collection of John Lennon.